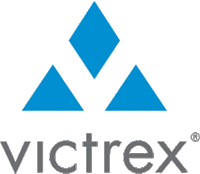 Victrex is a UK-based chemical manufacturer. The company's flagship product is the patented hard wearing, temperature and chemical resistant plastic polymers PEEK and PAEK. Victrex utilises it's patents to offer exclusive services within the electronic, automotive, medical, aerospace, energy, and manufacturing and engineering sectors. Victrex' business model is based on customer loyalty - after 35 years in business and close links and connections within the sectors of operation, they have a sizeable presence and brand. The latter allows maximisation of profits in the long-run and achieveing sustainable growth, allowing revenue and dividend returns to shareholders to be maximised.